Click action ballpoint pen. 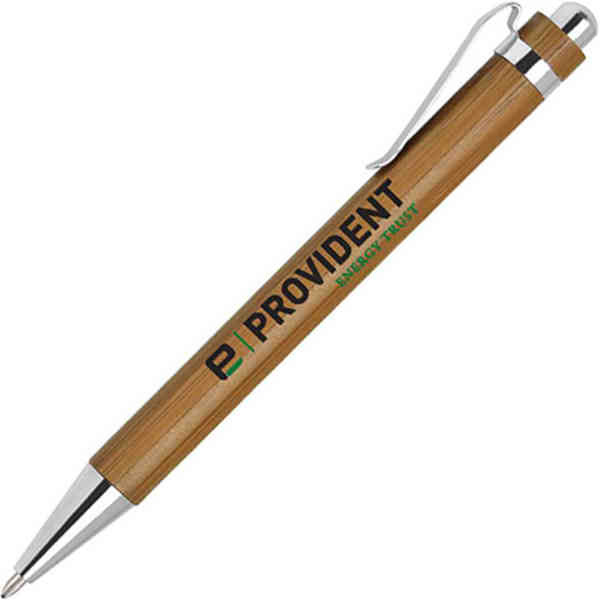 Eco-friendly bamboo barrel with silver trim. Natural material makes for a lightweight pen and easy writing. 57% new bamboo material. Size: 3/4 " x 5 3/4 "
Imprint Size:5/16" x 2 1/8"
Ship Weight:17 lbs, 17 lbs per 500 pieces. Black medium point ink refill is our standard refill color on all pens.